If you want your family and friends to talk about your beautiful wedding day for years to come, call us and book an "outdoor experience". Say " I do" in the open air, dance under the stars and party 'til the sun comes up. Your wedding day is special in itself, but make it a unique experience for everyone involved. There are so many options for brides and grooms when planning your special event. 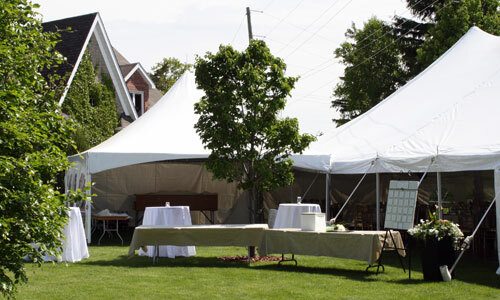 With our wedding tents, you can hold your ceremony inside out of the elements, or outside enjoying a beautiful day. Create a wedding dinner as formal (with all the finery) or as laid back (barefeet and burgers) as you wish. An "in tents" wedding is not considered the traditional thing to do, so have some fun with it! We'll help. 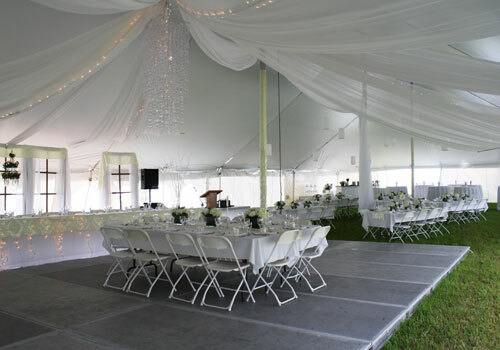 All tents are installed by our professional staff a day or two before the big day. Side walls are always included in the price of your tent. A combination of windowed and all white sides can be used. 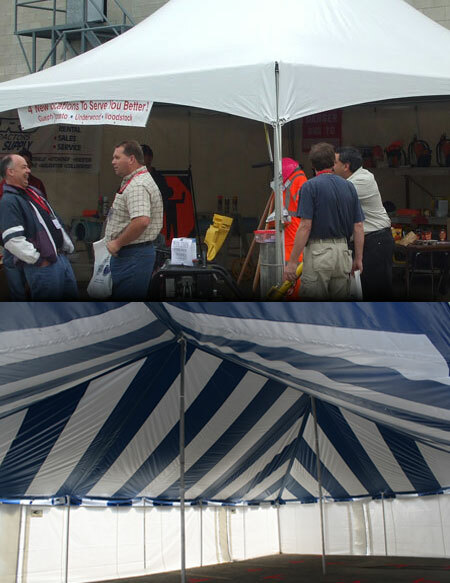 putting under the tent, besides people, and plan for the extra space needed. We can cover you whatever the occasion! 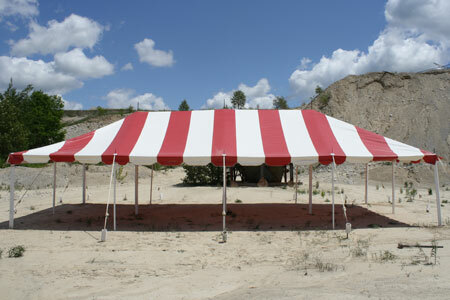 We have a wide variety of striped party tents to choose from. With many colours and sizes to choose from, we're sure you'll get the tent that's perfect for you. Sides are always included in the rental price.